Circular needles are basically two needles joined by a thin cable. 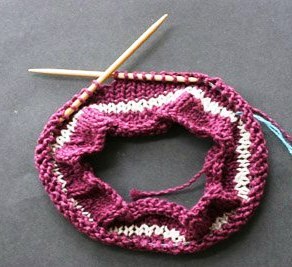 They are commonly used to knit items in a circle, such as a sweater or hat. 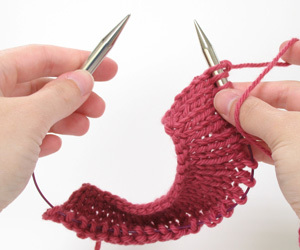 Circular needles can also be used as straight needles (aka "regular" knitting needles) for flat knitting, either by turning at the end of each row or by using end caps on one side of each cable. So for most projects, there's no need to buy straight needles anymore! Interchangeable needles are great because, as the name suggests, you can mix-and-match different sized needle points with different lengths of cables. 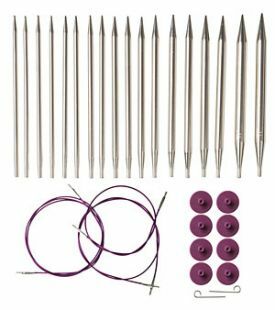 Ever the cost-conscious shopper, I originally purchased the Boye's Needlemaster set using a Michaels 40% off coupon, but unfortunately I discovered later on that their cables are thicker and harder to use for the magic loop technique (a method of knitting small, tubular items like socks). Instead, I now rely solely on my Knit Picks Options Interchangeable Nickel Plated Circular Knitting Needle Set. The cables are thin and flexible, the metal points are sharp and pointy, and the price is very reasonable for what you're getting. If you want to go cheaper, they offer an acrylic version, and if you need an unusual size or length not available in this kit, you can purchase fixed circular needles and individual cables to fill the gaps. DPNs are also commonly used for knitting in the round, but for smaller diameter patterns such as gloves and socks. I tend to like longer length DPNs since the knitted loops can easily slip off either end of the needle. 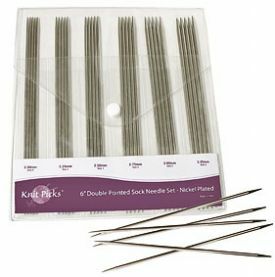 As usual, sets are the cost-effective way to go, which is why I bought Knit Picks 6" Nickel Plated Double Pointed Knitting Needle Set. And for larger or smaller sizes, you may have to buy them individually. 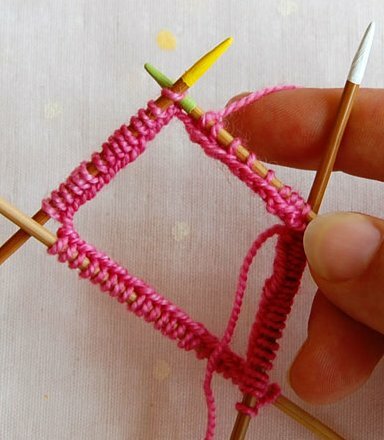 If you knit, what needles do you love and recommend? I'm ashamed to admit that I'm a little anxious about trying DPN's. I think I have the hang of circular, but the idea of trying to learn yet another method of knitting, as well as managing all those needles is very daunting, especially as someone who so far has failed to complete a single knitting project (My waffle scarf is nearly done, though! ).